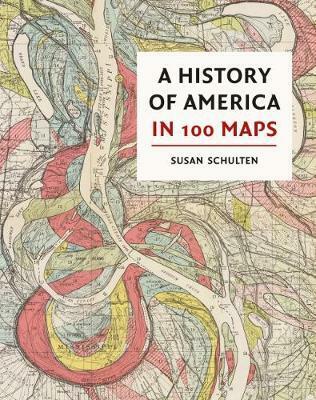 In this richly visual narrative, acclaimed historian Susan Schulten explores five centuries of American history through maps. From the voyages of European discovery to the digital age, she reveals the many ways that maps have shaped history. Whether made for military strategy or urban reform, to encourage settlement or to investigate disease, maps have the power to illuminate and complicate our understanding of the past. Schulten draws on both official and ephemeral artefacts - maps of exploration, political conflict and territorial control as well as education, science and tourism. Many of the maps in this volume have been deemed important for their role in exploration, statecraft, and diplomacy. But readers will also find lesser-known maps made by soldiers on the front, Native American tribal leaders, and the first generation of girls to be publicly educated. By exploring both iconic as well as unfamiliar treasures, Susan Schulten offers us a fresh perspective on the American past. Most of the maps in this book are from the British Library collection - the richest storehouse of American mapping outside North America. Many have not been reproduced before. Susan Schulten is professor of history at the University of Denver. She is the author of Mapping the Nation: History and Cartography in Nineteenth-Century America and The Geographical Imagination in America 1880-1950.